Diets and fitness fads come and go, with many only producing results in the very short term. This year, put your focus on a more holistic approach, to cover all areas of wellness and aim for a healthy, achievable lifestyle in the long term. Audio workouts give you the flexibility to fit exercise in when you can. Hands up if you always vow to hit the gym each new year, but never manage to schedule any sessions in? It’s little wonder, because the gym is just one more thing to work into a busy day - around the venue’s schedule, rather than yours. 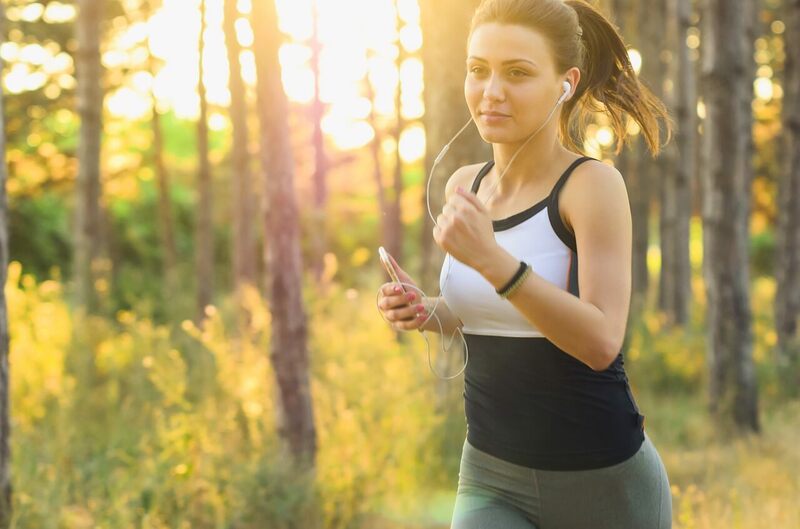 Wouldn’t it be much easier to simply pop your headphones in when you get time, and work out at your own pace? Starting first thing in the morning, you can use apps like Yoga Wake Up to ease into the day with slow stretches and breathing exercises. Got a spare few minutes in between appointments? Download and click on a Johnson & Johnson 7 Minute Workout to quickly increase your daily exercise quota. Swap holiday cocktails for a healthy retreat this year. Why not swap one or two breaks with cocktails by the pool, for a dedicated wellness holiday? Chances are you’re planning on taking a couple of holidays this year, as well as long weekend's away. Why not swap one or two breaks with cocktails by the pool, for a dedicated wellness holiday? From yoga retreats to detox escapes and weight-loss camps, venues are popping up across the globe, for holidays with healthy benefits. Some of Australia’s most enchanting retreats include the Golden Door Elysia Health Retreat and Spa in the Hunter Valley, and Gwinganna Lifestyle Retreat in the Gold Coast Hinterland. If you love jetting off to Bali, enjoy the tropical surrounds from COMO Shambhala Estate in Ubud, with yoga, dietitian, massage therapies and daily fitness activities. For overall well-being, it’s more important than ever to do a regular digital detox. For that statement to hit home, think about the last time you spent even just one day entirely without your phone, laptop or Netflix. Technology is incredible, but not when we forget that there’s a big, beautiful world out there that we can experience without a screen. The benefits of a digital detox include stress-relief, stronger relationships, increased mobility and improved sleeping patterns. Whenever you have a day free from work-related technology, try not to binge on even more technology. Leave your phone at home, get out into nature, catch up with friends or read a good old book instead. Make 2019 all about investing in holistic wellness, to look after your mind, body and spirit, as part of an achievable, successful and long-term fitness plan.